See more objects with the tag studio, music, pop culture, bold, cartoon, animation, submarines. See more objects with the color goldenrod saddlebrown darkslategrey darkgrey dimgrey or see all the colors for this object. This is a Drawing. It was created by United Artists and graphic design by Heinz Edelmann and association: United Artists and made by King Features Production and made for Apple Films. 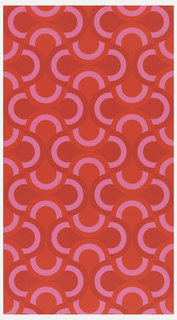 It is dated 1967–68 and we acquired it in 1969. Its medium is brush and acrylic paint, pen and ink on two sheets of cellulose acetate. It is a part of the Drawings, Prints, and Graphic Design department. 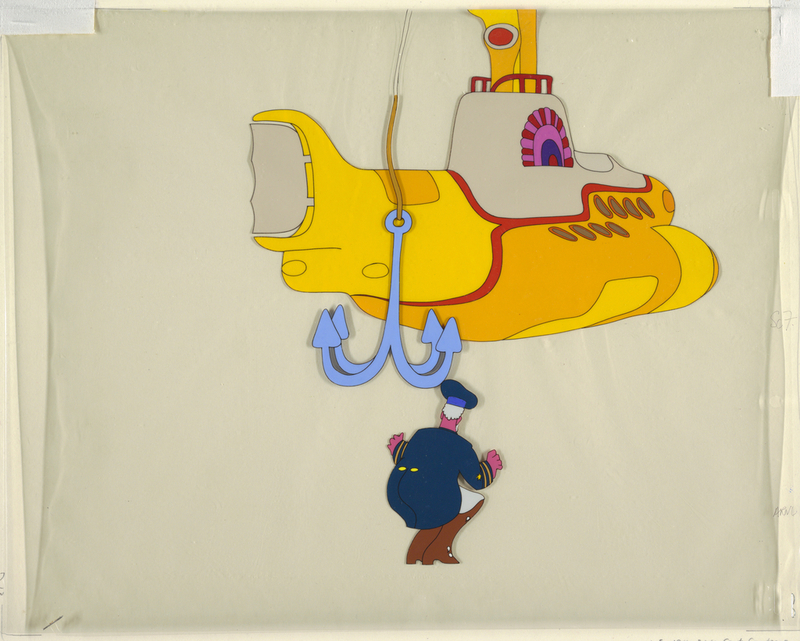 Yellow Submarine, the first full-length animated film to break Disney Studios’ dominance over the medium, was released in 1968 to popular acclaim. The film, with art direction by German poster designer Heinz Edelmann, followed on the success of a Saturday morning cartoon series marketed to pre-teen American viewers begun in 1965 (the producers, though not Edelmann, oversaw this series). Titled after the Beatles’ 1966 hit song and using music from its more recent album Sgt. Pepper’s Lonely Hearts Club Band, Yellow Submarine was an amalgam of story lines, scenes, and bright, saturated color. Edelmann has said that to generate interest he tried “to consciously overload the audience with impressions,” enhancing the color and design from what a viewer would normally see. It also includes a range of art and cultural references—Art Nouveau, Pop art, surrealism, the burgeoning youth culture, and the psychedelic imagery associated with drug use. In reviewing the film in 1968, Renata Adler of the New York Times described the graphics as “lovely Oswald the Rabbit in Candyland graphics.” This film cel gives a taste at those graphics, showing Sgt. Pepper from behind as he peers at the blue anchor descending from the yellow submarine. This object was purchased from Gary Fine Arts, Ltd.. It is credited Museum purchase through gift of Erskine Hewitt.